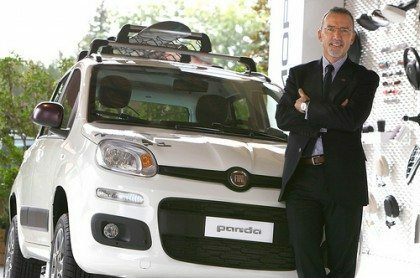 Do you remember the article on car purchases by the Italian State, which has stimulated a heated debate on this blog? With all the related discussion on globalization, market and liberalization? Well brace yourselves because while half of Europe is drifting, the other half knows where is going, and without wanting to be ironic, hats off to their rulers! We start recalling that in the European Community is strictly forbidden for every country to support their own industries, with ordinary or extraordinary funding, when these same incentives are, in a free market, violations of the free competition. Many countries, especially in this critical times, sometimes try to mask certain types of support often receiving heavy penalties. Despite the practice, in defiance of the directives on competition, is quite common because their strict observance would lead to catastrophic effects. And now let’s come to our industry and our mistreated Italy. Thanks to the absolute lack of direct or indirect support, many automotive sites are shutting down or sustained with unemployment insurance. Among all the Fiat sites of Termini Imerese and Iribus of Valle Ufita. We are talking about 10,000 jobs that went up in smoke! But what happens in Europe, while in Italy the previous government declared that he did not want to poke in the private ownership? GM/Opel makes agreements with the unions and with the support of the government creates the subsidizes for the closure of Bochum. And in England and in Belgium the government directly intervenes to prevent plant closures … That’s to say that every country, in the absence of a European policy, take care about “his own garden”, while in Italy we put our attention on the gossip about Belen Rodriguez and Fabrizio Corona. France and Germany receive penalties for improper support to their auto industry, disguised as investments for research and production of electric cars, and in Italy the incentives of purpose are abolished, while half of the world, including China, inserts them into the industrial policy for the medium/long term. But the last straw was a few days ago when the PSA group declared losses in 2012 for 5.01 BN of Euro and a surplus of 8,000 workers! For a happy coincidence this is the same number of layoffs from the production system in Sicily and Campania. Result: The EC authorized a support of 5 BN to the French automotive group. To recap: while the Italian sites shut down, the French industries receive government support and our politics, ALL, chase liberalist utopias that even the most theorists of economic liberalism don’t follow anymore. Where are the Italian trade unions, the economic columnists, the pan-European journalists and those now electrified? Are they filling sheets or bytes of cut and paste with the press releases of the cars manufacturers? They are telling us how many seconds it takes to reach 100 km/h or how many airbags are there on a door … or how many days Marchionne does not cut his beard or if he has a new blue sweater? Or whether or not Piech will buy Alfa Romeo? … And we continue our self-sabotage, giving space and voice to people who could not even speak at the annual meeting of the neighborhood bowl!